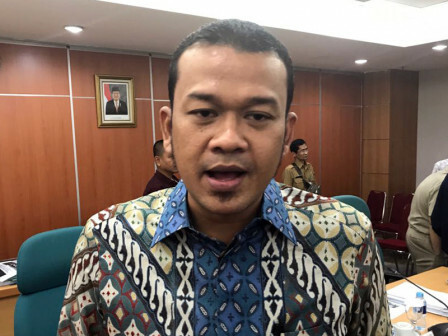 City Council Commission A encourages five Jakarta mayors to improve their budget planning in Revised City Budget 2018 and City Budget 2019.
" They must prepare their planning well"
According to City Council Commission A Head, Riano P. Ahmad, it needs to be done because budget absorption in all mayor's activities in 2017 is mostly low. "They must prepare their planning well. If it is given 10 for budget, then its absorption should be also 10," he conveyed at joint meeting with 15 SKPDs in City Council building, Tuesday (7/10). On that day, he assessed, his side is particularly reviewed about low budget absorption. From discussion, it is known that budget absorption at mayor level is still below 50 percent until last year. He asked all mayors to be more careful in planning for next activities and budget. Thus allocated budget will not become the remaining budget (SiLPA). "Unused money will make it turns into SiLPA. While there are other important activities that should be done," he stated.